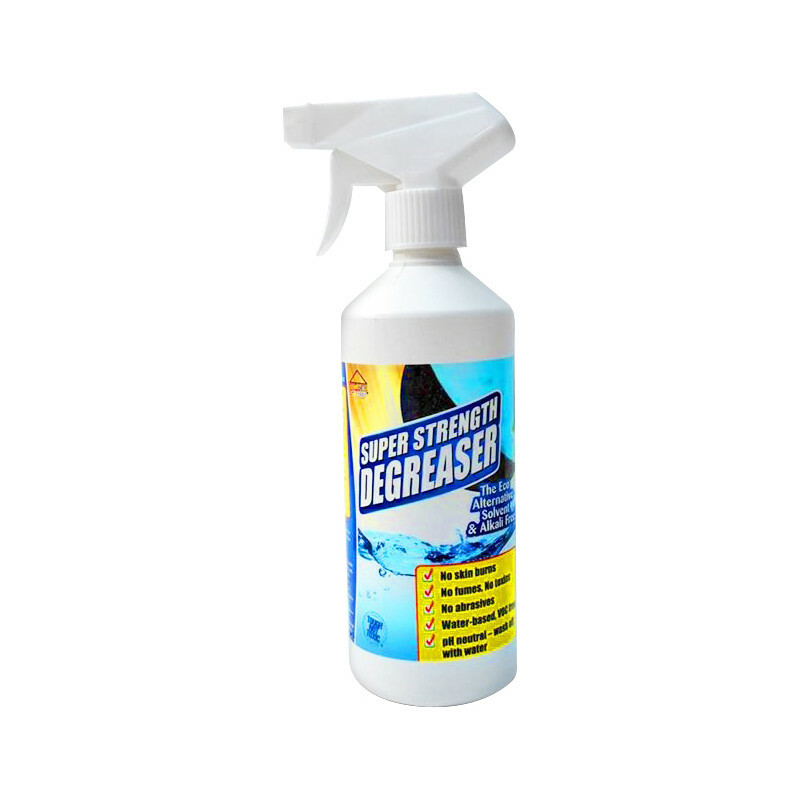 Home Strip Super Strength Degreaser 500ml is rated 4.6 out of 5 by 9. Rated 5 out of 5 by Ronwa from Does the job Does the job well and you get 1st class results. Rated 4 out of 5 by Stevemanc from Degreaser Purchased this degreaser to clean paint work on narrowboat prior to sanding down. Sadly the information on the bottle states you have to apply the product and leave for 30 minutes. Rated 5 out of 5 by Frenchie 23 from Excellent This product really works, a little goes a long way. Rated 4 out of 5 by Taken6years from Good oven cleaner For ovens may need a couple of applications but it does the job without the nasty fumes of these oven cleaner sprays. Rated 5 out of 5 by Ray71 from Good quality product Very good product. Used it on the tiling at the back of the cooker. Sprayed it on, left it for 30 minutes and most of the grease rubbed off. The stubborn grease came off with a little more scrubbing.